The TwinSet 8000s offers some of the best insulation values today in an attractive and modern look. 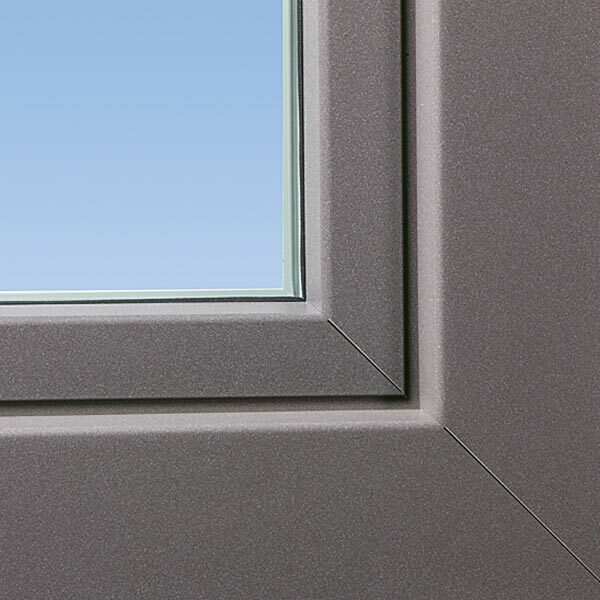 The combination of aluminium cladding, advanced uPVC frame and fine German fittings make it a high performance window that will enhance your house and save money for years to come. 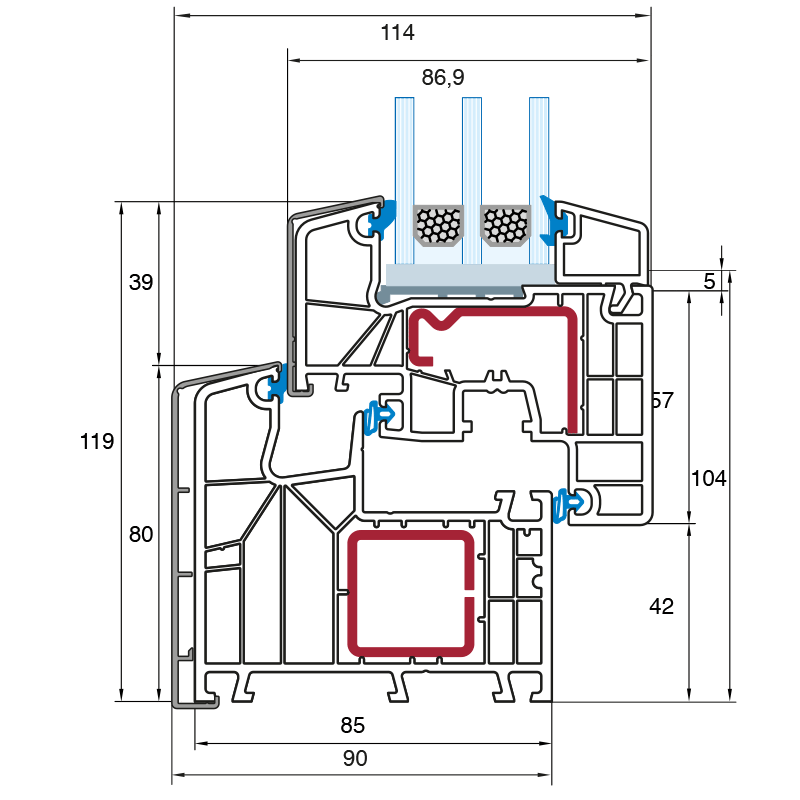 Its 6 internal chambers, multiple sealing levels and aluminium shell allow Uw-values down to 0.80 meeting Passive House standards. While lowering your monthly bills, it will also keep you safe with its tough metal exterior and German security hardware with a range of further security upgrades possible. Aluclad uPVC offers all the advantages of each material with none of the drawbacks. 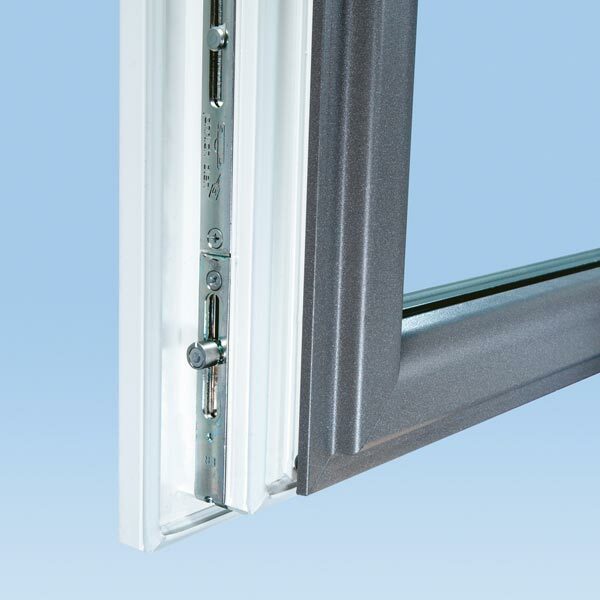 TwinSet 8000S profiles are made of a combination of uPVC and aluminium, offering superior U-values for energy efficiency. In addition, the three sealing levels used in the construction of the profile reduce the effects of thermal bridges. 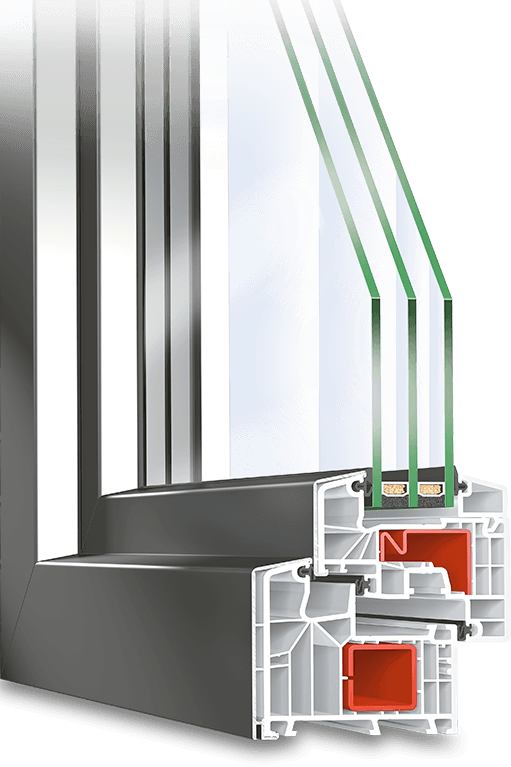 Finally, the outer aluminium shell provides an additional barrier between the frame and outside air which further boosts the Uw-values, leading to thermal performance levels that can meet Passive House standards (0.8 W/m²K or less). Security plays a significant role when selecting suitable windows and doors for your home. The hardware and fittings used must meet strict quality and security standards in order to provide adequate protection. Quality Winkhaus activPilot fittings are used to guarantee basic security, with a range of additional options and upgrades, including Resistance Class II (RC2) protection. In locations where windows are particularly vulnerable to intrusion attempts, glazing too can be reinforced with laminated security glass and impact resistant glazing. In order to meet your personal requirements and tastes, the TwinSet 8000S models allow aluminium cladding can be customised in variety of different ways. You can select from an extensive range of RAL colours and finishes to match your façade, or accent it. Additional visual features such as glazing bars can be easily integrated making your imagination the only limit.